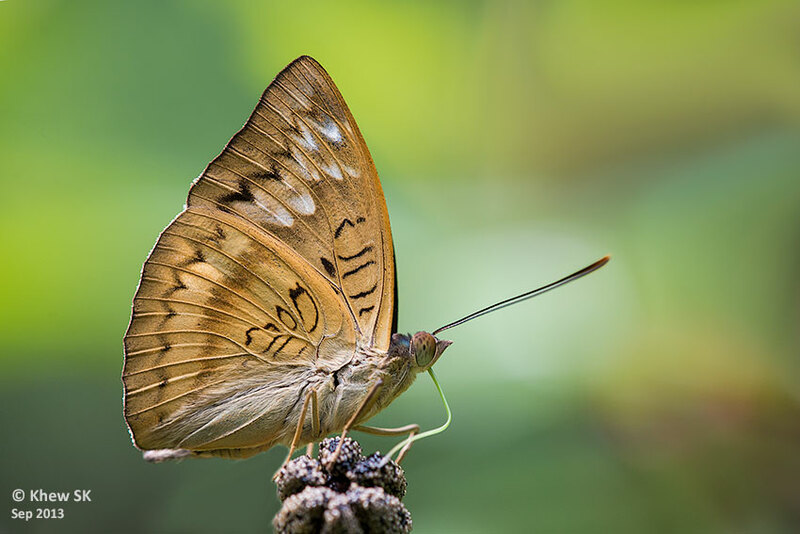 The Malay Baron is one butterfly species that displays sexual polymorphism*. It is particularly noteworthy that, in the Malay Baron, the polymorphism occurs in the males. In butterflies, polymorphism occurs more frequently in females than in males. In the Malay Baron, there are three known forms of the males - form-decorata, form-monina and form-gardineri. The species is represented by only one female 'form'. *Polymorphism in biology occurs when two or more clearly different phenotypes exist in the same population of a species — in other words, the occurrence of more than one form or morph.